(Bloomberg) -- Several Democratic presidential candidates say they are skipping this year’s meeting of the American Israel Public Affairs Committee amid a roiling debate within the party over U.S. policy toward Israel under President Donald Trump. 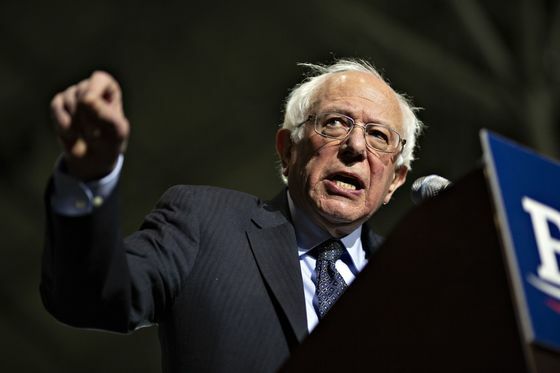 Vermont Senator Bernie Sanders is “concerned about the platform AIPAC is providing for leaders who have expressed bigotry and oppose a two-state solution," his campaign policy director, Josh Orton, said in an email. Representatives of Senators Kamala Harris and Elizabeth Warren, former Representative Beto O’Rourke and South Bend, Indiana, Mayor Pete Buttigieg and Julián Castro said they won’t be attending the AIPAC conference, which begins Sunday in Washington, without giving a reason. John Delaney, another 2020 Democratic contender, said Thursday he also won’t be attending, citing a scheduling conflict. Trump has accused Democrats of being “anti-Israel” and “anti-Jewish.” The president has been a close ally of Israeli Prime Minister Benjamin Netanyahu, and on Thursday he broke with decades of U.S. policy and said it’s time for the U.S. to “fully recognize” Israel’s sovereignty over the disputed Golan Heights. 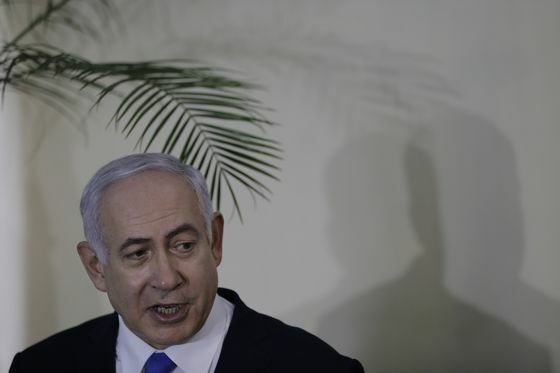 The move will give a boost to Netanyahu, who faces corruption allegations as he’s running for re-election. He is scheduled to speak at AIPAC and meet with Trump next week. The conference will have a bipartisan lineup of members of Congress who plan to address the group over three days, including New York Representative Hakeem Jeffries, a member of the Democratic House leadership, and Senate Majority Leader Mitch McConnell, according to AIPAC’s schedule. There has been growing skepticism in the Democratic Party about the U.S.-Israel lobbying group, which is seen as a hub of support for Netanyahu’s policies that are controversial among American progressives, including in the Jewish community. 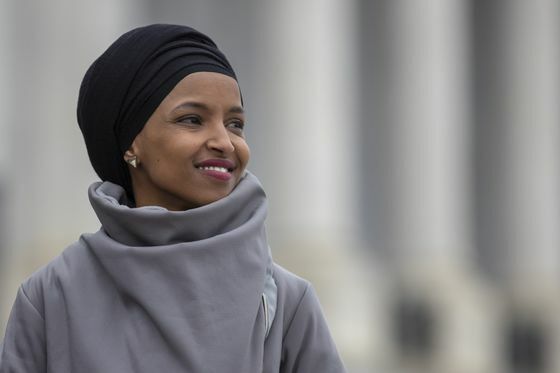 The party also has been embroiled in controversy over accusations that statements made by Democratic first-term Representative Ilhan Omar of Minnesota used anti-Semitic tropes. Republican National Committee spokesman Steve Guest said Democrats were showing "transparently anti-Israel bias." He cited the absence of the Democratic presidential candidates at AIPAC and a call by progressive activist group MoveOn for them to boycott the conference. It’s not clear whether any of the Democratic presidential candidates were actually invited to speak at the AIPAC conference. "Our focus for the conference has always been Congress, and the bipartisan leadership of the House and the Senate will be speaking," AIPAC spokesman Marshall Wittmann said. "We do not discuss who is invited to speak at the conference." Jeremy Ben-Ami, the executive director of J Street, a pro-Israel group that has been critical of Netanyahu’s policies, said there has been "a massive shift" on Israel in the Democratic Party. "It is a direct result of the games that the prime minister of Israel has played on this issue," Ben-Ami said in an interview. "He alone bears responsibility, over the course of the last decade, for tearing apart the bipartisan consensus on Israel that used to exist, and turning this into another football in the culture wars of the United States." "It’s not good for the United States or for Israel," he said. Jewish Americans have overwhelmingly backed Democrats in presidential elections for decades: Hillary Clinton won 71 percent of Jewish voters in 2016, according to exit poll data compiled by the Pew Research Center. Democrats have carried Jewish voters by anywhere between 39 and 60 points in White House races since 2000. "Nothing that the Republican Party has ever tried to do to win over Jewish voters on the Israel issue has worked. They try this every election cycle — they run ads and spend money," Ben-Ami said.